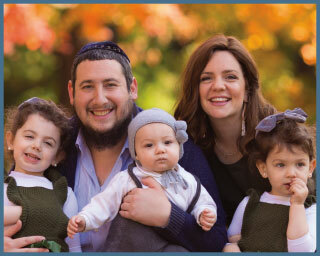 Pillars of the Oholei Torah community, the Baumgartens were one of the very first parents in Oholei Torah, as they enrolled their son, Yossi, in the newly-founded school. With a deep sense of appreciation for the uniqueness of this Educational Institute, they paved the way for thousands of parents to follow, giving their children a pure Jewish education. Reb Mendel and Nechama Baumgarten lived exemplary lives as Chassidim and were one of the more well-known families of Crown Heights. With an open home, they hosted countless guests and introduced Yiddishkeit to many new baalei t'shuva. Mrs. Baumgarten took a particular interest in making shidduchim and assisting young brides prepare for their weddings. Reb Mendel Baumgarten served as one of the founding members of Oholei Torah and was very involved in its growth during its early years. The Baumgartens were also personal friends of Rabbi Joseph Rosenfeld, Executive Director of Oholei Torah, who considered them like family. They raised ka"h nine children and many grandchildren, most of whom are Oholei Torah graduates. Sruli Richler is the CEO of The Surplus Company, LLC, a reverse liquidation company, which just opened a new office in Perth Amboy, NJ. He is the son of Shmarya and Chaya Sara Richler of Montreal, Canada, who raised Sruli and his siblings to be proud of their rich heritage and to develop an appreciation for emes, truthfulness and chessed. In 2012, Sruli married Toby Herman of Pittsburgh, PA. They are proud parents of Ita, Malka and Mendy. Together, they created a passion not just for tzedaka, but also for the betterment of education, community, and the laurels of Chassidus and what it teaches us to become. There is a saying that warmth and light attract, and this is exactly what the Richlers want to accomplish. They are yearning to ignite the fire, help others, and cultivate a feeling of appreciation for what we are blessed with, especially among the many young businessmen in our community. They want to make a difference and answer the needs of the community, both with financial or emotional support and by being a living example of a chossid, with all that it entails. 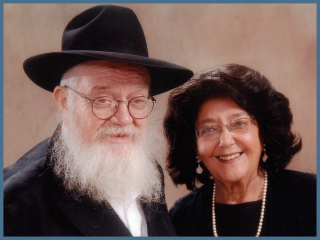 The Dalleks' connection with Oholei Torah goes back to the very wedding day of Godfrey H. and Phyllis Dallek, as it was held in the Brooklyn Jewish Center, now known as the Educational Institute Oholei Torah. 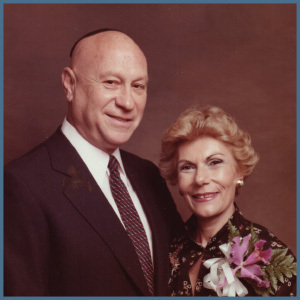 The Dalleks were active and devoted members in the Jewish community and great supporters of many worthy causes, including the Great Neck Synagogue and the North Shore Hebrew Academy. Their connection with Oholei Torah spans nearly fifty years, through which they had a warm relationship with the administrator, Rabbi Yitzchok M. Kramer. As Oholei Torah grew, Mr. Dallek took a keen interest in the institution and always made himself available when Rabbi Kramer would visit. The Dalleks were honored numerous times at the Oholei Torah Annual Dinners throughout the years. It is most admirable, as Mr. Dallek's first yahrzeit was just recently commemorated, that their daughter, Dr. Nancy Dallek, and her family have undertaken to make an everlasting dedication in the very same building where her parents celebrated great and memorable milestones.